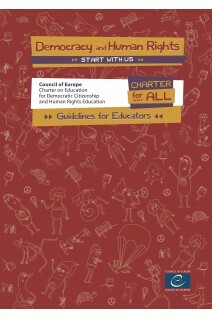 The present document ofers further clarifications about the Charter, but above all, some hints on how to work with both the Charter for All and the poster with your group, in an educational context. This work can be useful either as an introduction to EDC/HRE, or as a tool for them to refect on the work you are already doing on the topic. 2. What are human rights? 3. What is democratic citizenship? 4. What is education for democratic citizenship and human rights education? 5. What are the principles of human rights and democracy? 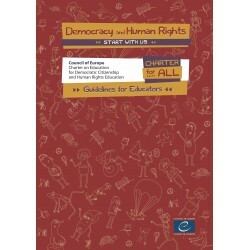 6. Who is involved in education for democratic citizenship and human rights? 7. Do schools and organisations respect human rights and democracy? 8. What can we do to promote citizenship and human rights education? Worksheet: Democracy and human rights start with us: where do we stand?